Located 39 kilometres southeast of Kamloops, Roche Lake Provincial Park is a tranquil, natural escape best known for its world-class rainbow trout fishing. The lake is stocked annually with an average of 55,000 trout yearlings. Typical catches range from 1 to 3 pounds, with 8 pounders scattered throughout. Roche Lake is also a popular hunting, boating and cross-country skiing spot. There are plenty of campsites to accommodate large groups. The camping area is spread out enough to ensure peaceful slumbers amongst the Douglas-fir trees, white-tailed deer and calling loons. How to Get To Roche Lake? Coming from Kamloops, follow the old Merritt Highway (5A) for 30 kilometres. Turn east onto Roche Lake Road. Continue for approximately 9 kilometers and look for the campsite turnoff. Communities close to the park are Kamloops, Quilchena and Merritt. Roche Lake has enough basic amenities mixed with rustic, natural charm to make it the perfect Canadian camping experience. 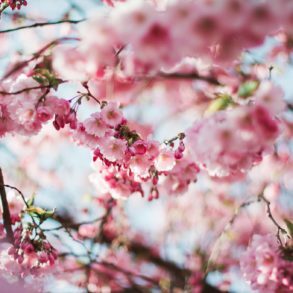 In early April, I was counting on the region’s warm sunshine and mild temperatures to hold out for an evening at Roche. Instead, I was caught in a snowstorm that ravaged the walls of my thin tent. I woke up to soft white snow blanketing the campground. I was proud to be amongst the scattering of campers that chose to brave the storm. I have never felt more Canadian. 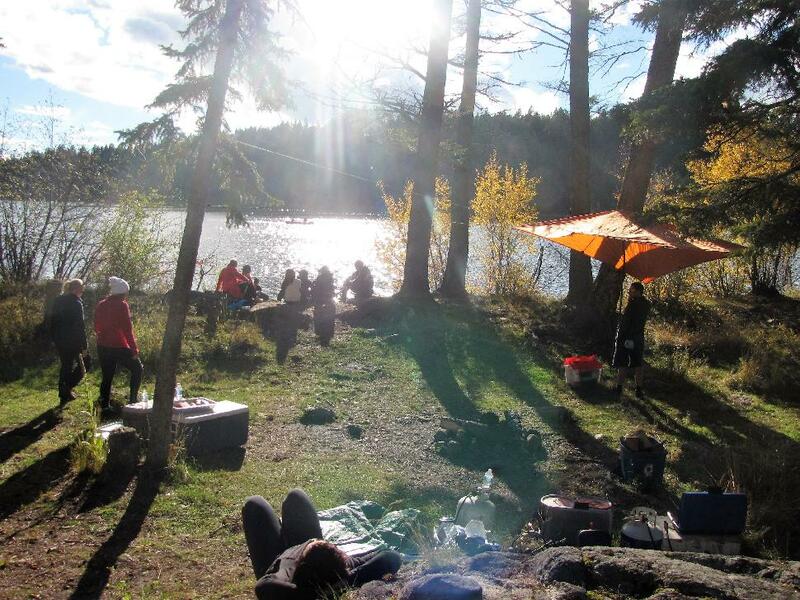 I returned to Roche in September with Thompson River’s University’s AdventureU Outdoor Club. We spent the weekend canoeing, hiking, swimming and s’more-making over a crackling campfire. Roche Lake Provincial Park was established on April 30, 1996, following recommendations made by the Kamloops Land and Resource Management Plan. Roche Lake Provincial Park encompasses seven lakes (two of which are accessible by gravel roads) over an area of 2,041 hectares. Moose, deer, Canadian geese, mallards, vesper sparrows and mountain bluebirds call Roche Lake their home. When sharing their habitat, it is imperative to give them space and respect. Campers should be aware that black bears also frequent the area. Bear safety knowledge and action is crucial for both campers and animals safety. All food must remain inside vehicles. Garbage must be diposed of in bear-proof garbage cans (available on site). One of the highlights of Roche Lake Provincial Park is its diverse and challenging rock climbing scene. There are 29 routes up the nearby rock face to a height of 23 meters. The routes along the left, right and center of the climbing wall have quirky, imaginative names, such as “Boogie Train,” “Hard Day at the Office,” and “Something Totally Inappropriate.” The Climb Kamloops Guide Book by Trevor Lott includes an overview of these routes. Ensure you have proper gear and training before embarking on a climb. Roche Lake is dog-friendly, though animals must remain on-leash. There are rugged campsites, pit toilets, campfire rings, boat launches and day-use areas for everyone to enjoy. There is no water or electricity. The majority of the area is serviced with cell phone reception. Next door to the campground, Roche Lake Resort offers a more comfortable experience. The attached Steak & Trout House is equipped with a stone fireplace and a large screen TV. The Roche Lake North Campsite can accommodate tents, RV’s and vehicles. There are approximately 75 sites to choose from. Reservations cannot be made in advance; the entire area is first come, first serve. The campground is in full operation May 1st – October 12th. Campsite fees (including vehicle) are $13.00 per party/night or $6.50 for B.C. seniors from Labour Day until June 14th. Firewood is available for $7.00 a bundle. Cash only. During the off-season, the campground is still accessible; however, services cannot be guaranteed. It is imperative to make sure you have adequate supplies before trekking to Roche Lake in the winter. Remember to pack out what you pack in. 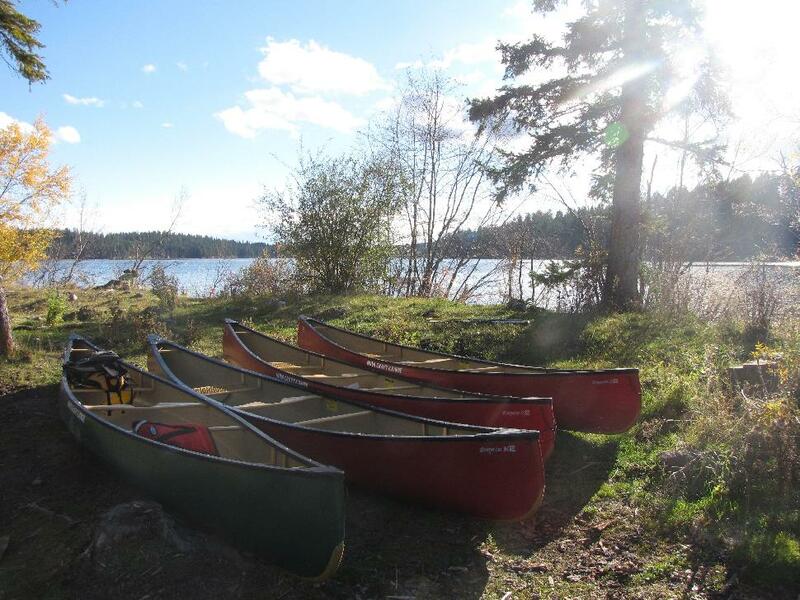 There is plenty to do year-round in Roche Lake Provincial Park. In the summer months, fishing, canoeing, kayaking, cycling, hiking, horseback riding, hunting and swimming are preferable ways to pass the peaceful days. In the winter, visitors can go cross-country skiing, snowmobiling, ice skating, ice fishing and snowshoeing.